It’s the Texans, right? The Houston Texans. They’re winning the 2014 NFL Draft. They’ve got the first overall pick. In some respects, they’ve already won. Right? If only the universe were so simple. Turns out, the reality is a little more complicated than that. Not to get all “math” on anyone, but the Approximate Value of each pick is far from the should-be-obvious “first pick is the best, then second, then third,” all the way down to the end of the seventh round. Why the caps on “Approximate Value”? Because it’s “an attempt to put a single number on the seasonal value of a player at any position from any year (since 1950),” according to Pro Football Reference. The same way people capitalize Player Efficiency Rating, or PER. Anyway, AV isn’t limited to players — with some creative application of mathematics, it’s possible to figure out what each draft pick is worth, more or less. To do that, you start with the “Perceived AV which weights [a player’s] best season 100%, next best 95%, 90%, etc,” per Pro Football Reference. Then, after calculating the Perceived AV for each position, you average those out to get the Average Approximate Value for each draft pick. You can read more than you want to about AV here (it’s actually really informative). Make sense? You’re taking the average career score of each player to get drafted at each position in the draft since 1950, then figuring out which teams have which picks, and how many points each team is likely to accrue. Stat nerds for the win, basically. Check out the 10 teams that are the most likely to grab winners based on the historic value of each pick. That’s right, Bills fans, you can allow yourselves to be kind of stoked about this upcoming draft — Buffalo’s in the top third of the league! With their seven picks in the 2014 draft, the Bills are in a decent position to capitalize, even if they don’t actually pick until the first eight teams have had their say. The best players to go at No. 9? According to PFR, it’s (in order) Bruce Matthews, Brian Urlacher, Richmond Webb, and Kevin Williams. 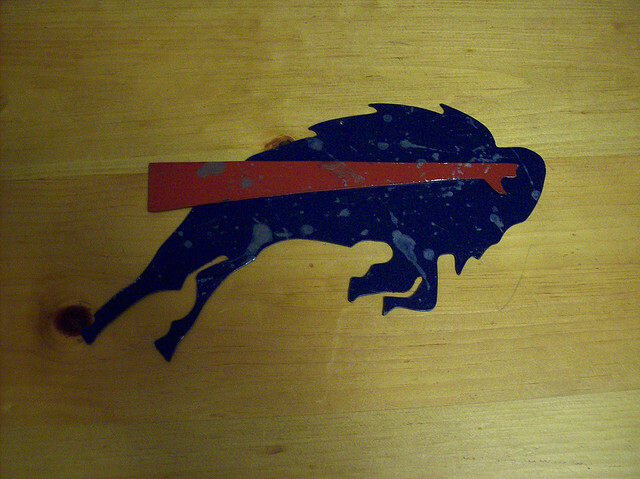 Buffalo has the 41st, 73rd, 109th, 149th, 185th, and 224th picks in the 2014 NFL Draft. Before the head scratching starts: Yes, the first Green Bay pick is the 21st, and yes, the Packers still have a better chance of having a better draft than the Bills; no, it doesn’t have to do with any incompetence in the Buffalo front office. The ninth pick is worth, roughly and historically, 43 points. The 21st pick is worth, roughly and historically (that’s the last time we’re using that disclaimer, but consider it omnipresent), 36 points. So the ninth pick is usually better than the 21st pick. The difference, like the devil, is in the details: with the 53rd, 85th, 98th, 121st, 161st, 176th, 197th, and 236th picks, Green Bay has more valuable picks (as well as more picks, with nine to Buffalo’s seven). So why do the Vikings get the nod over the Packers? Mostly because their first pick, the No. 8 spot, is worth 11 points more than the first Green Bay selection. Their other picks? Fortieth, 72nd, 96th, 108th, 148th, 184th, and 223rd. So with one fewer pick than the Packers, the Vikes are sitting just as pretty as their Midwestern rivals. Not only are the Jets making a strong case for the most interesting rebuild on the fly with Vick and CJ2k, they’re also well positioned to take advantage of the draft. With their first pick coming at No. 18 (best player: Art Monk), then spots at 49, 80, 104, 115, 137, 154, 195, 209, 210, 213, and 233, maybe this will be the year the Jets finally make it back into the playoffs. Maybe. With 12 picks, the Jets are tied for the most draft choices in this top 10 – we’ll get to the other team later. The silver lining to the Falcons’ relatively disastrous 2013 campaign are the 10 picks the team controls in the 2014 draft, picks that are among the best bang for the buck in the league. Starting with No. 6, Atlanta will be able to use Nos. 37, 68, 103, 139, 147, 182, 220, and 253 to try and leverage help for Matt Ryan and company (even though they’ll be missing Tony Gonzalez, who is now a television analyst). Of course, this time last year, it was assumed that the Falcons would be building on their postseason success and trying to make a run at getting the Gonz his ring at long last. The National Football League eats expectations for breakfast, lunch, and dinner. Need another reason to root against the 49ers? Consider this: Not only are they still Super Bowl contenders with an annoyingly intense coach who wears the same thing all day every day, but they’re one of the five teams with the best shot at wringing every last drop of quality out of the draft. Even if their first pick isn’t until the 30 slot, they’ve got 10 other chances of grabbing that last piece to put them over the top against Seattle. 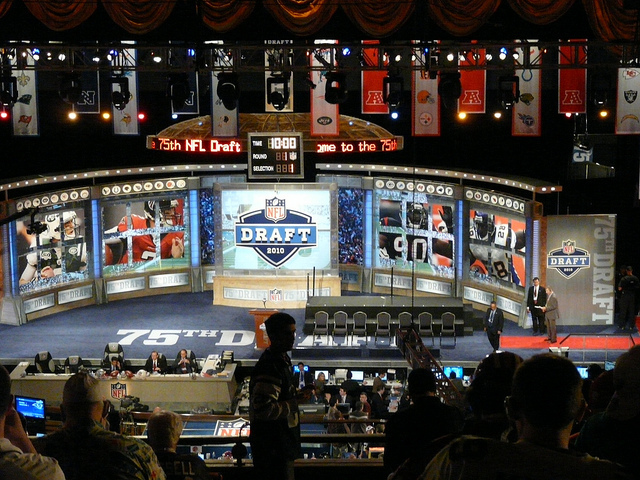 The Niners also pick 56th, 61st, 77th, 94th, 100th, 129th, 170th, 242nd, 243rd, and 245th. Note: Last time we wrote about the Jags, some readers were upset with our use of an image of a near-empty Jacksonville stadium. 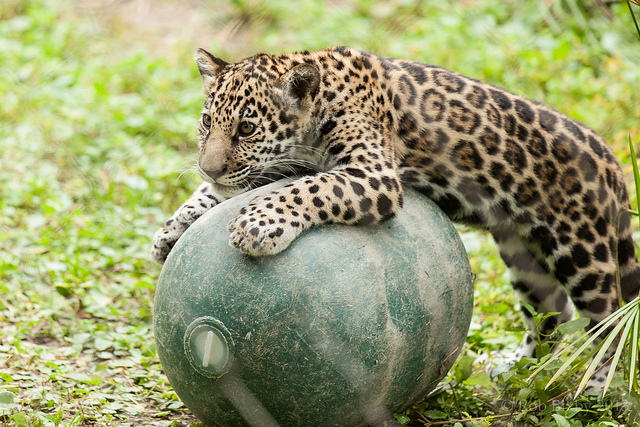 As an olive branch to the long-suffering Florida team’s fan base, here’s an adorable picture of a real jaguar. Don’t even act like you can be mad about that. Plus, the Jaguars are looking pretty good for the 2014 draft — not only do they have 11 high-value selections, but they’ve also nabbed the third overall pick. Get stoked, Jacksonville. The Texans, though, are probably not stoked about having such riches, which include the very first pick in the draft. We’re certain they’d much rather be celebrating another playoff berth than the unanticipated 2-14 season they suffered through last year. Oh well, the past is past, as they say. And yet, the Texans are only the third likeliest to successfully plunder the draft. We’ll see how that goes soon enough: In addition to the first overall pick, Houston has the 33rd, 65th, 101st, 135th, 141st, 177th, 181st, 211th, 216th, and the final pick, No. 256. Because this part of the list seems to be all about suffering, let’s take a moment to point out that the Cleveland Browns, despite only having 10 picks in the draft, are stacked with assets right now. The list: fourth, 26th, 35th, 71st, 83rd, 106th, 127th, 145th, 180th, and 218th. Tons of picks in the early goings for Cleveland. Not to jinx it, but this could finally be the year it turns around for the oft-beleaguered franchise. How about that RGIII trade, huh? 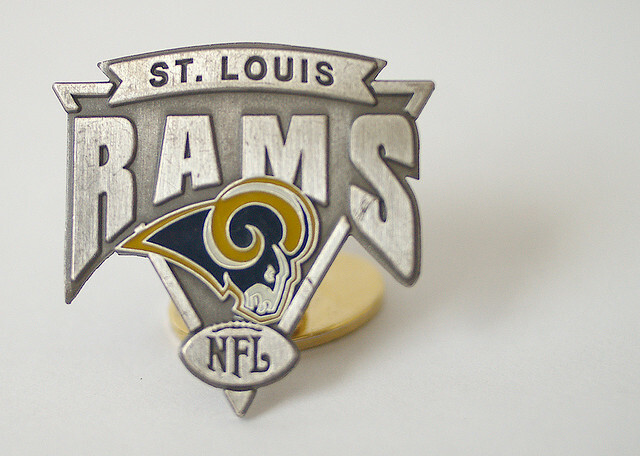 The Rams’ trading partner, Washington, only has six picks in the upcoming draft (for a total of 87 points). The Rams, meanwhile, are enjoying an embarrassment of riches — Nos. 2, 13, 44, 75, 110, 153, 188, 214, 226, 241, 249, and 250 — with which to improve their team. Word is they’ll be looking to grab a quarterback to bolster the relative lack of production they’ve had from Sam Bradford, a cap-killing first overall draft pick, but the Rams, unlike the ‘Skins, have options. In fact, they probably have the best options out of any team in the draft. For a complete breakdown of each draft position’s average AV, check out the complete list at Pro Football Reference. The draft starts on May 8 and runs for three days. It covers seven rounds.